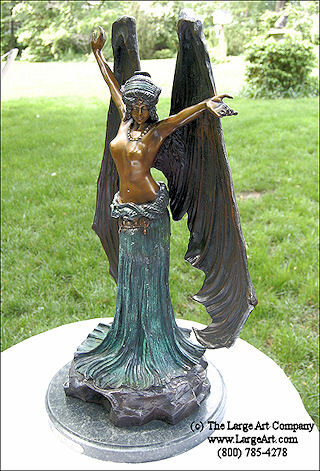 Bat Lady, after Agathon Leonard, is a lovely bronze sculpture of a figure partially draped in a long flowing skirt. Bat-like wings adorn the back of this figure, while her arms are gracefully stretched. She stands 28" in height, 19" in width and 14" in depth (at the marble base).